Milton Keynes Council is working with Aurrigo, the autonomous vehicle division of RDM Group, to test out a new first/last mile transport solution for local people, shoppers and visitors to MK. 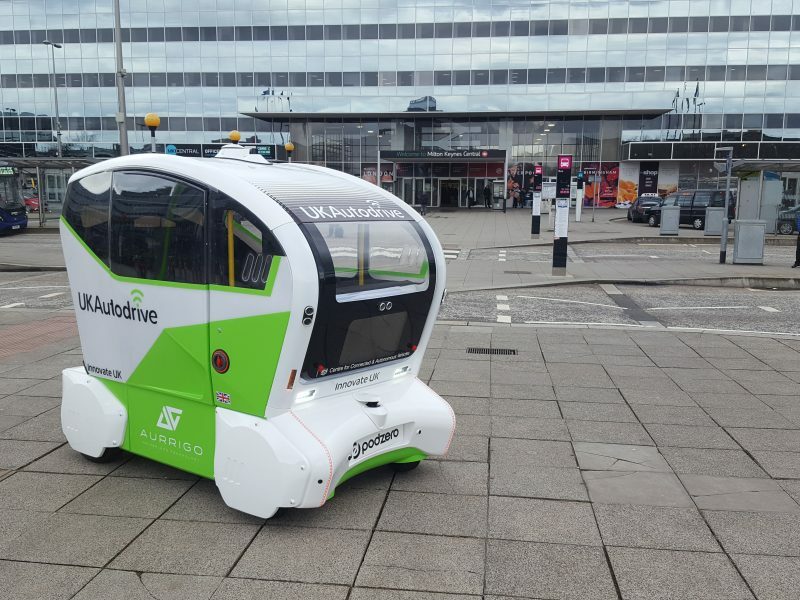 This week will see the official start of the UK Autodrive trials in Milton Keynes, with self-driving pods hitting the pavements and streets of the town over the next twelve months. Aurrigo, the autonomous vehicle division of RDM Group, is working with Milton Keynes Council to test out a new first/last mile transport solution for local people, shoppers and visitors to the town. Up to 40 pods – that can travel up to 15 miles per hour and will last up to 60 miles off one charge – will operate in the town centre from Central Station to Campbell Park and Silbury Boulevard to Avebury Boulevard. “Initially, people will see just one or two pods at any time, as we build up the fleet over the coming months. 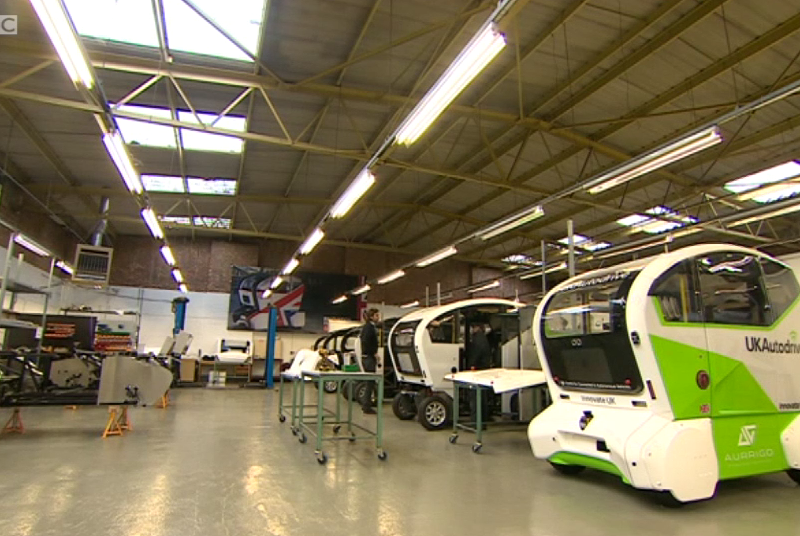 These trials are the next step in proving that driverless pods are safe, reliable and can work on dedicated routes in and around Milton Keynes,” explained Dr Richard Fairchild, Director of Autonomous Mobility Programmes at Aurrigo. He continued: “We’re excited about deploying in Milton Keynes which is a very future facing city and we hope that people will get behind what we are trying to achieve.” Aurrigo has invested heavily in the development of a control centre in the town centre and has recruited the first three people to support the trials as part of a team of ten. This gives the company the presence on the ground required to safely and effectively oversee the testing before it goes live with passengers in the Summer. UK Autodrive, which is funded by Innovate UK, is an ambitious three-year project that is trialling the use of connected and self-driving vehicles on the streets of Milton Keynes and Coventry. Brian Matthews, MKC’s Head of Transport Innovation, welcomed the achievement of this significant milestone, commenting: “This month will see the demonstration of three forms of Connected and Autonomous transport in Milton Keynes. We will have self-driving cars, delivery robots and Pods. The demonstrations are designed to test and evaluate the technology for its suitability, not least around safety, so the trials will be closely managed. It’s very exciting as we could be on the cusp of what might be a revolution in transport with the potential to provide increased mobility for all’. For further information, please visit www.aurrigo.com or follow @aurrigotech on twitter. Aurrigo is in the news again! 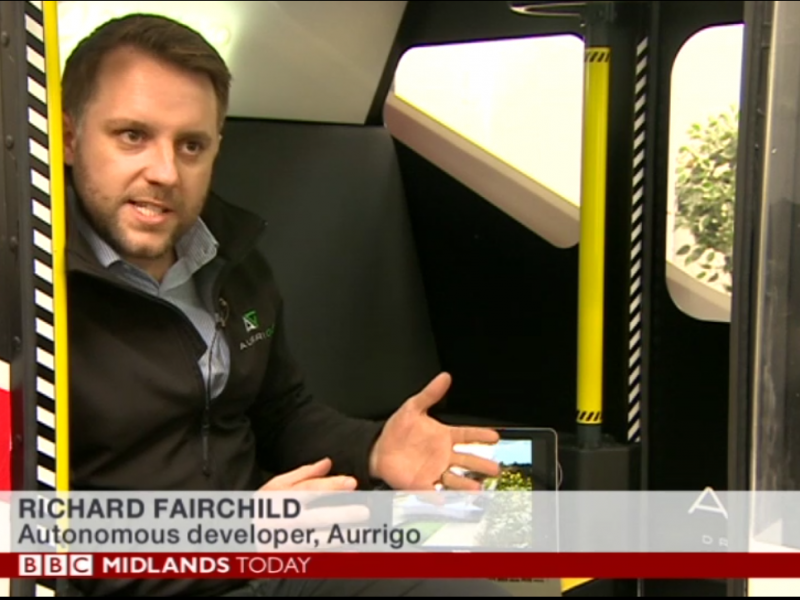 BBC West Midlands came to Coventry to interview Miles Garner and Richard Fairchild about the rapid expansion of Aurrigo in Coventry, creating jobs and developing a local supply chain. We also talked about the new Cambridge project with Smart Cambridge and Cambridgeshire County Council and the development of our 12 seater pod.